Editing your own voice over can be very time-consuming! You can spend hours of cutting, splicing or even deleting errors, mistakes, long pauses, and extra breaths. With that amount of time, you should rather go promote or grow your business instead! Now, accept this offer now and let me take care of your audio editing projects! Simply accept this offer and send me the link and description of the audio files that I will be working with. Hey! I'm Jude Manuel and I'm a freelance Digital Audio Editor, specialized in Adobe Audition. 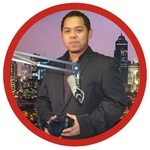 I was the Music and Entertainment Director of Brigada News FM National, here...Read moreHey! I'm Jude Manuel and I'm a freelance Digital Audio Editor, specialized in Adobe Audition. I was the Music and Entertainment Director of Brigada News FM National, here in the Philippines for years, so I am fluent with Adobe Audition since we use them professionally. Therefore, I will be happy to apply my 10 years of experience with radio broadcast to your audio project! I can handle simple to complex editing raw audio files, removing background noise, errors, mistakes, breaths, clicking sounds, ums and ahs etc... But not limited to mixing multiple audio files into one major file, or splitting one long audio file into multiple files. I love to work with Voice-Over professionals, Narrators, Audiobooks and Podcast Shows. Now, if you have an audio production project that is ideal, message me and let's talk about your requirements!